Sony Corporation announced on June 10, 2009, that it has succeeded in producing a mercury-free alkaline button battery (LR) and that six models of these environmentally conscious batteries will be released onto the market. The company plans to release them on October 10, 2009. The new product was based on Sony's proprietary technology for mixing absorbent raw materials into the cathode. 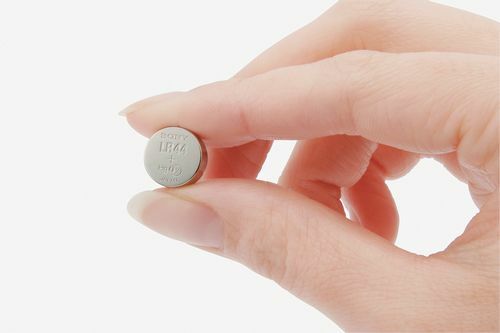 The company succeeded in developing the mercury-free battery by combining this approach with existing technologies to suppress of hydrogen gas production on the anode, which Sony had previously adopted in its mercury-free silver oxide (SR) button batteries. This technique has long been considered impractical. Annually, the company sells approximately 300 million alkaline and sliver oxide button batteries. Through the company's button battery business, including the silver oxide button battery that is already mercury free, annual mercury reductions of about 470 kilograms, which is equivalent to approximately sixty eight 500-ml plastic bottles, are expected. When improperly disposed, mercury has potent negative effects on the human body, and can accumulate throughout the food chain. The company aims to continue improving its technologies to reduce environmental impact.